Once my son wrote a song about me with the lyrics: “who doesn’t like to walk in the rain? Moommmyyyyy…” Well I am reformed. 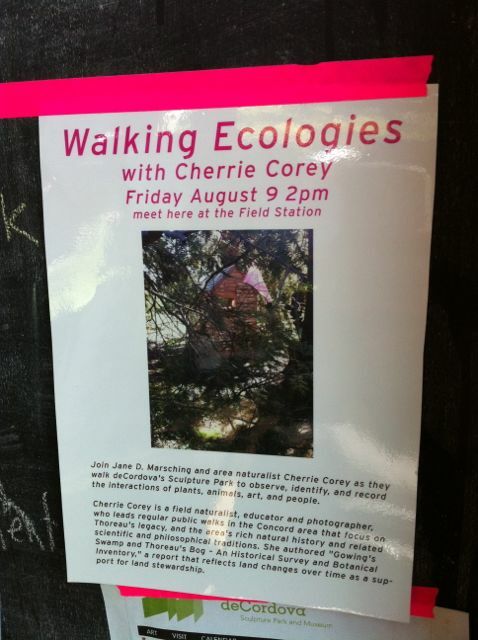 This Friday August 9 at 2pm, come to the deCordova and walk with me and Cherrie Corey, area naturalist, to discover what is there–its that simple. What grows there, how did it get there, what do we notice, what stories do we tell about our landscapes, and how are they changing? I will have my wellies on.